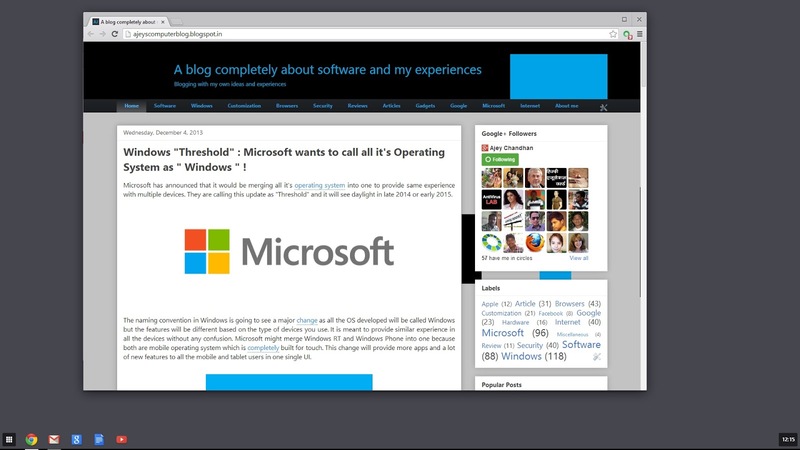 Tech O Blog : Chrome stable updated automatically to Chrome Aura beta ! Chrome stable updated automatically to Chrome Aura beta ! I was using Google Chrome stable build but suddenly it updated to the beta version,Chrome 32 aura. Chrome 31 was updated with some fixes few hours ago and this build was the one that I should have reached after updating. This sounds odd enough because Google has managed the updates pretty well till now . It's not only me but people are asking Google product forums for the reason why this update reached them. Here is a link to the forum thread about this issue. As far as the update's concern, Chrome brings the new Modern UI to Windows 8 and Windows 8.1.It brings the new Aura UI with some new features and security fixes. Google is yet to comment on this issue, I will update this post when Google comments on this issue.